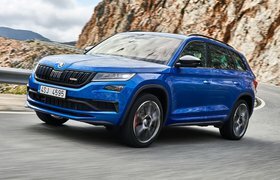 Skoda Kodiaq long-term test review | What Car? The days of having to studiously run a new car in are over – or at least car makers and car owners are no longer talking about an art that is likely becoming consigned to the annals of history alongside phones you had to dial and computer games you had to wait seven minutes to load (before crashing, and you having to start the process again). Of course, that is a good thing: no more cardboard signs in the window telling people why you are driving like you’ve got all the time in the world, no more tortuous journeys along the motorway at an enforced 55mph and no more angry commuters sharing their thoughts as you pull out of junctions at milk float (remember them) rivalling pace. But that does not mean that modern cars don’t improve with age. Many is the car that we’ve tested where some of the functions have improved with age, none more so than the fuel economy, which often seems to improve as miles build and everything starts to move with some well-oiled slickness. 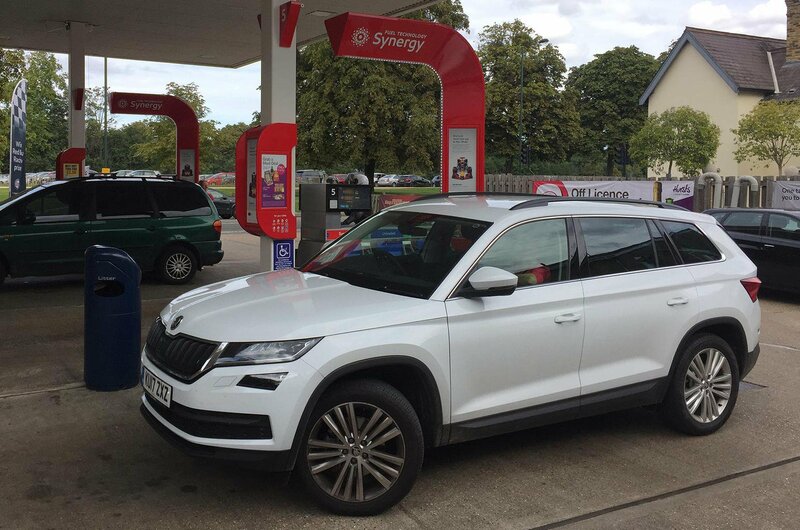 That was certainly true for the Kodiaq as it hit around 5000 miles - although we have seen it happen with other cars as many as 10,000 miles in. So the test economy, recorded by brimming the car at each fill and recording how many litres it takes and the mileage, rather than trusting the trip computer, has improved from around 42mpg in the early days to nigh-on 45mpg. Small margins, you may think, but an additional 3mpg - a rise of more than 6% - is not to be sniffed at if you cover a lot of miles. 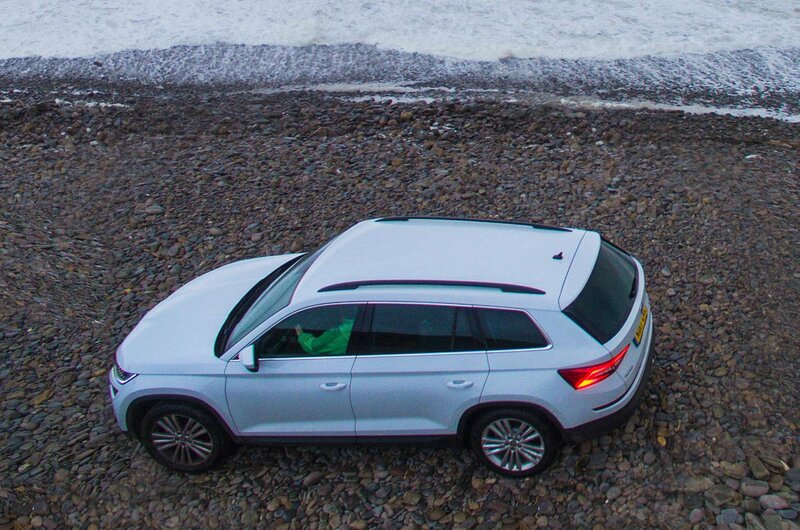 That is what the Kodiaq is good at, too. It eats miles as confidently as it swallows family, friends and luggage. Perhaps there is a touch too much wind and road noise for comfort, and the diesel engine can be clattery for a bit on a cold morning, but once you’re on the motorway, sat high up, comfortable, in an interior designed around you, where all the functions are logically and easily located, it really does tick all the right boxes. Some will note that the real-world economy is still lagging more than 10mpg behind the official figure, but that is far from abnormal. An average of of 45mpg from a large SUV that is often heavily laden is very good indeed.